Are you 18-30 years old and interested in getting up-close, first hand knowledge of Japanese culture, all while spending over a month with 240 youth from around the world? We are inviting you to come and learn more about this unique cross-cultural experience and have the opportunity to have your questions answered by Canadian alumni of the program. The presentation will begin at 5:30pm. Come prepared with your questions. This is an opportunity not to be missed! This information session is open to potential candidates interested in applying to the Next Generation Global Leaders Program, “The Ship for World Youth Leaders” (SWY). SWY Canada is seeking 12 young professionals to represent Canada and take part in this unique cross-cultural program aboard the Nippon Maru. In January 2017, the ship will disembark from Japan and journey onwards to New Zealand and Fiji for official port of calls. For inquiries kindly email us at info@swycanada.org or visit www.swycanada.org. Alumni from previous batches of SWY will be hosting the information session, providing background, sharing their experiences of being on the ship, and other information you will need to know to about about applying to the program, and to answer any questions you may have about the program to help better prepare you for your application! I am Erick from Tanzania East Africa I really can provide an amazing contribution. Plz tell me how to apply. I have been looking for this opportunity for so long time. 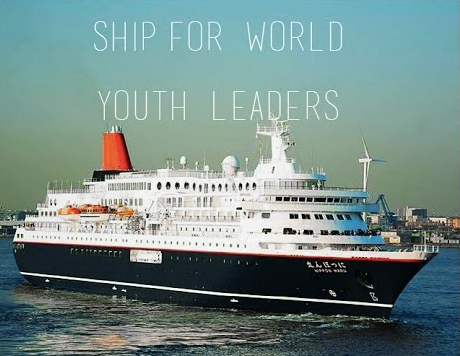 Ship for World Youth Canada (SWYCAN) shared a post. Henry Tsang Architect, 🇨🇦NL for SWY29, was recently interviewed by Embassy of Japan in Ottawa to commemorate the 90th anniversary of Japan🇯🇵-Canada🇨🇦 diplomatic friendship. Dr. Tsang is a graduate of McGill University Peter Guo-hua Fu School of Architecture and received his Ph.D. from The University of Tokyo / UTokyo as a 文部科学省 MEXT Monbukagakusho Scholar. He is a former architect at Nihon Sekkei and current professor at Athabasca University RAIC - IRAC Centre for Architecture in Alberta. He also serves as VP of the Japanese Scholarship Alumni Association Quebec/Atlantic (JSAA Q/A) and batch liaison of Ship for World Youth Canada (SWYCAN).